The other day I went over my friend, Paul Russo's house for a haircut. 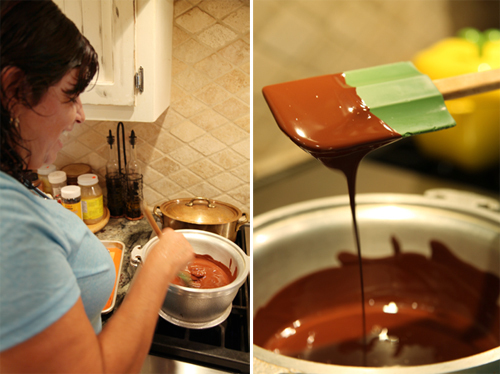 As always happens, his ridiculously talented chef/wife, Tessie, was creating tasty dishes in the kitchen. Tess was happily preparing biscotti, a garden salad, Thai burgers (incredible dish, I loved it so much I made it the next day) ...and then these incredible frozen clusters for dessert. They're so easy to make, I just had to share. 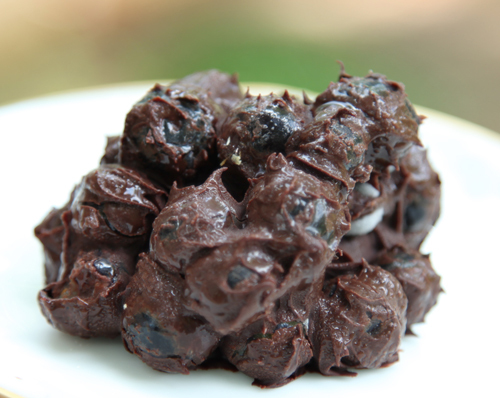 This recipe only calls for two ingredients, chocolate and blueberries. Tessie chose these two bars from Trader Joe's which are 72% and 85% dark chocolate. 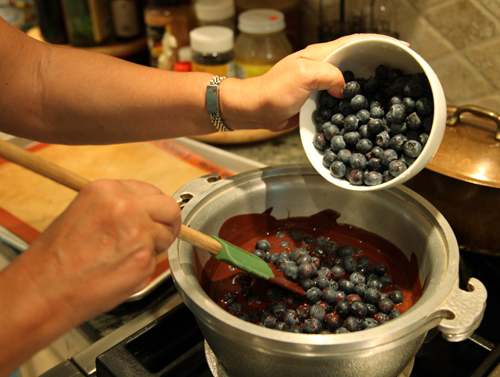 Then add in a bowl full of fresh blueberries. 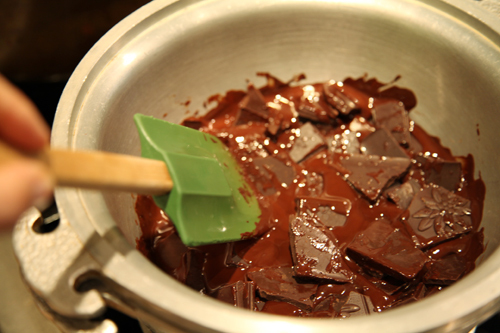 Mix all together, then scoop cookie sized pieces onto a baking tray. Place in freezer for a couple of hours and that's it, you're done. It's dark chocolate and blueberry goodness- which actually is good for you. At least that's what I kept telling myself when I grabbed for a second one, then a third... So good, thank you Tessie for sharing. And happy weekend.